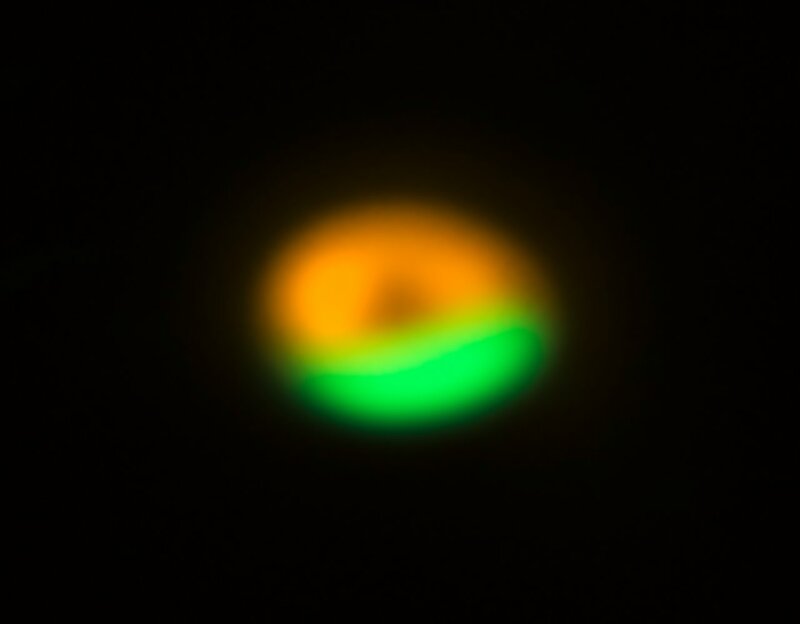 Astronomers using the new Atacama Large Millimeter/submillimeter Array (ALMA) have imaged a region around a young star where dust particles can grow by clumping together. This is the first time that such a dust trap has been clearly observed and modelled. It solves a long-standing mystery about how dust particles in discs grow to larger sizes so that they can eventually form comets, planets and other rocky bodies. The results are published in the journal Science on 7 June 2013. Astronomers now know that planets around other stars are plentiful. But they do not fully understand how they form and there are many aspects of the formation of comets, planets and other rocky bodies that remain a mystery. 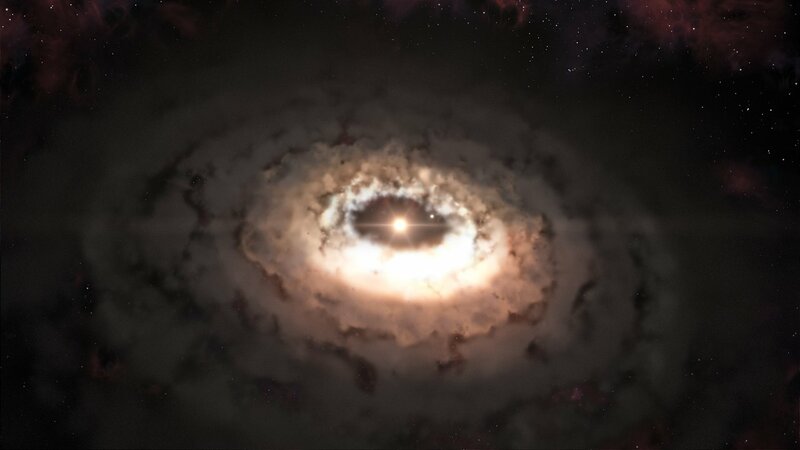 However, new observations exploiting the power of ALMA are now answering one of the biggest questions: how do tiny grains of dust in the disc around a young star grow bigger and bigger — to eventually become rubble, and even boulders well beyond a metre in size? Somehow the dust needs a safe haven where the particles can continue growing until they are big enough to survive on their own . Such “dust traps” have been proposed, but there was no observational proof of their existence up to now. Nienke van der Marel, a PhD student at Leiden Observatory in the Netherlands, and lead author of the article, was using ALMA along with her co-workers, to study the disc in a system called Oph-IRS 48 . 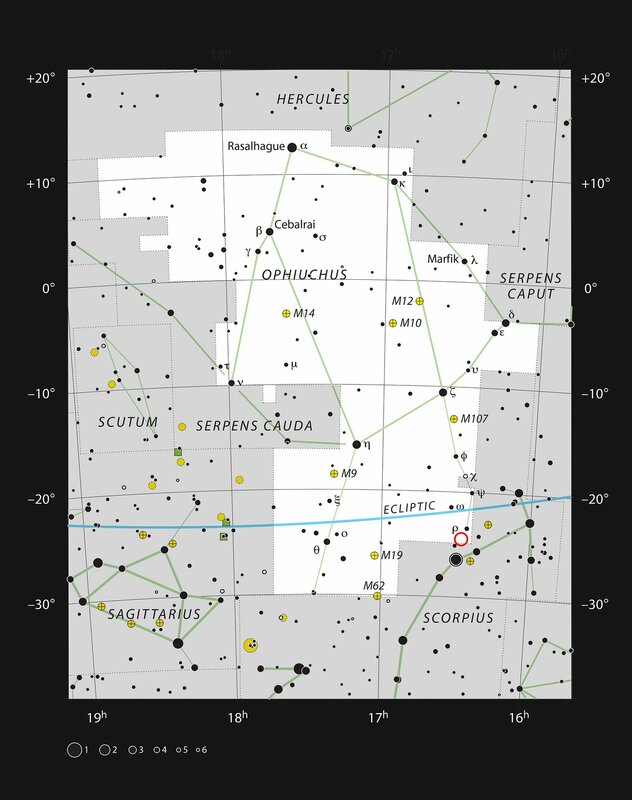 They found that the star was circled by a ring of gas with a central hole that was probably created by an unseen planet or companion star. Earlier observations using ESO’s Very Large Telescope had already shown that the small dust particles also formed a similar ring structure. 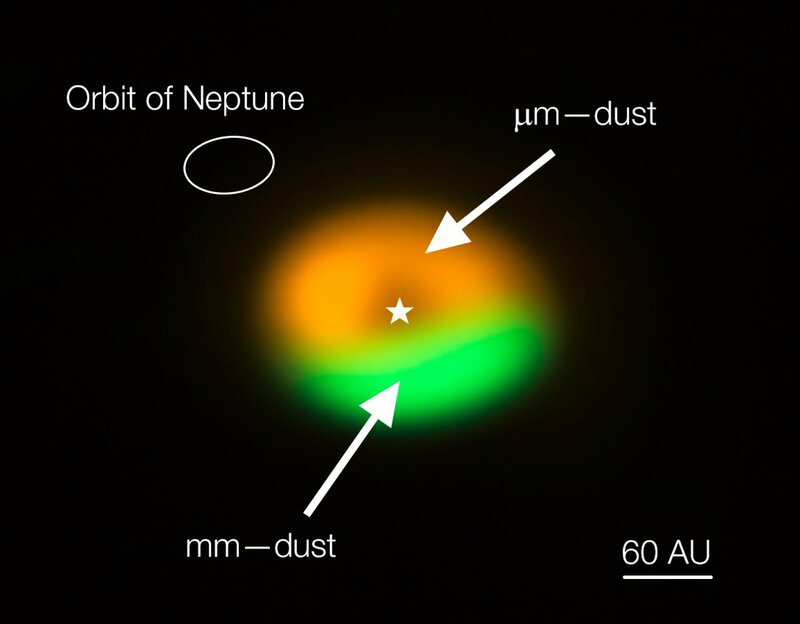 But the new ALMA view of where the larger millimetre-sized dust particles were found was very different! The dust trap forms as bigger dust particles move in the direction of regions of higher pressure. Computer modelling has shown that such a high pressure region can originate from the motions of the gas at the edge of a gas hole — just like the one found in this disc. The observations were made while the ALMA array was still being constructed. 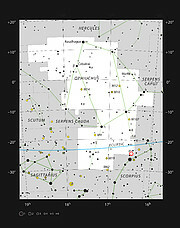 They made use of the ALMA Band 9 receivers  — European-made devices that allow ALMA to create its so far sharpest images. The cause of the dust trap, in this case a vortex in the disc's gas', has typical life spans of hundreds of thousand of years. Even when the dust trap ceases to work, the dust accumulated in the trap would take millions of years to disperse providing ample time for the dust grains to grow larger. This research was presented in a paper “A major asymmetric dust trap in a transition disk“, by van der Marel et al, to appear in the journal Science on 7 June 2013. The team is composed of Nienke van der Marel (Leiden Observatory, Leiden, the Netherlands), Ewine F. van Dishoeck (Leiden Observatory; Max-Planck-Institut für Extraterrestrische Physik Garching, Germany [MPE]), Simon Bruderer (MPE), Til Birnstiel (Harvard-Smithsonian Center for Astrophysics, Cambridge, USA [CfA]), Paola Pinilla (Heidelberg University, Heidelberg, Germany), Cornelis P. Dullemond (Heidelberg University), Tim A. van Kempen (Leiden Observatory; Joint ALMA Offices, Santiago, Chile), Markus Schmalzl (Leiden Observatory), Joanna M. Brown (CfA), Gregory J. Herczeg (Kavli Institute for Astronomy and Astrophysics, Peking University, Beijing, China), Geoffrey S. Mathews (Leiden Observatory) and Vincent Geers (Dublin Institute for Advanced Studies, Dublin, Ireland).